As an adult child, there may come a time when you realize that your older loved one simply cannot safely or confidently drive an automobile. They may pose a serious danger to themselves and others when they get behind the wheel. What do you do? What should you say? Almost crashing, with frequent close calls. Getting scrapes or dents on the car, garage, or mailbox. Having difficulty moving into or maintaining the correct traffic lane. Having trouble following traffic signals, road signs, or pavement markers. Driving too slow or too fast for road conditions. Easily distracted or having difficulty concentrating. Experiencing road rage or causing other drivers to honk or complain. Decrease in confidence while driving. Receiving multiple traffic tickets or warnings from police officers. Getting lost, especially in familiar locations. That last sign really hit home about three years before my mother died. “Mom, I’m going to fly down this weekend and we’ll talk about it, Ok? Unfortunately for all of us, it was all about her health; the beginning stages of Alzheimer’s. It was a productive conversation which ended peacefully with my Mother handing me the title and keys to her car. During our time together, she saw for herself that she could no longer drive an automobile of any kind, including a golf cart. It was a sad time but a necessary time for the both of us. My story will be different from your story. Yet, looking for the warning signs, observing your loved one’s driving, and listening to your senior parent should be everyone’s story as loving and caring adult children. Remember, giving up the car keys can be a frightening and lonely prospect. Our parents steered us into the discipline of driving. 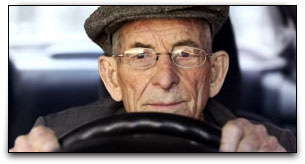 We now owe our senior parents the same guidance through their driving challenges as they age.